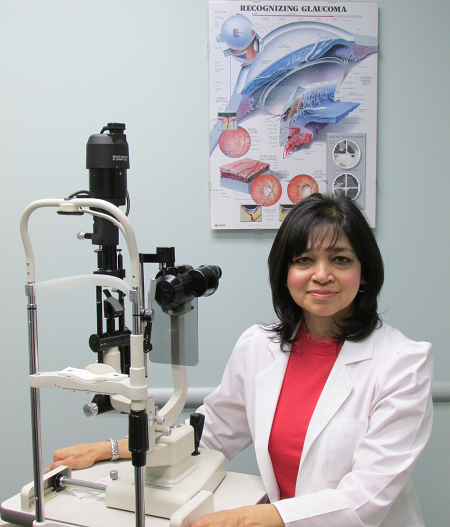 Dr. Esaa is a board certified ophthalmologist. She earned her medical degree from the New York University School of Medicine and completed her residency training at the Brookdale Hospital in Brooklyn, New York. She is an accomplished anterior segment surgeon with considerable experience performing complex surgeries. She moved to the Susquehanna valley in 1991 and began her solo practice on Campbell Street before relocating to the Divine Providence Hospital campus in 1999. She and her husband are outdoor enthusiasts who fell in love with the beauty of the area and happily raised three daughters here. Dr. Esaa is also passionate about educating our children and has served on the Williamsport Area School Board. She is an artist at heart, indulging in watercolor painting when she is not practicing the art of surgery.